According to National Geographic, Costa Rica is home to over 5% of the world's plant and animal species, and included in that amazing list is the four types of Costa Rica Monkey. Considering there are over 250 different species of monkey found throughout the world, the fact there are only four is surprising. By contrast there are over 1,300 species of orchids found in Costa Rica. 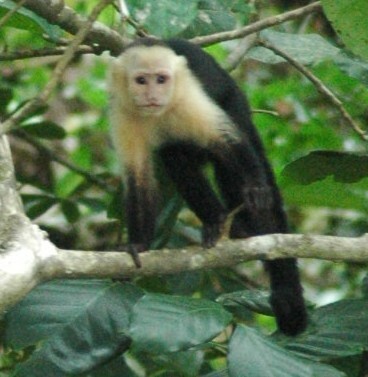 There is only one location in Costa Rica where all four species of monkeys are found, and that is inside Corcovado National Park. 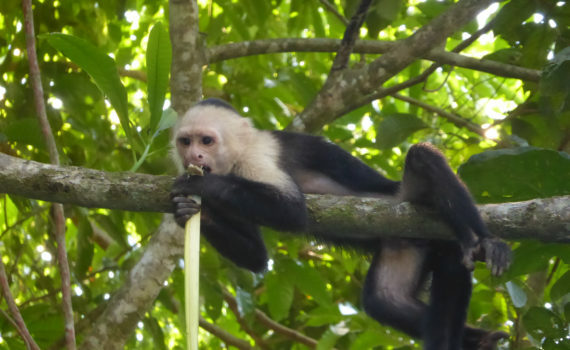 We can help line up tours for you and your group if you are interested in visiting Corcovado National Park. In the Osa region of Costa Rica, it is quite common to hear howler monkeys on a daily basis. They are typically heard just before sunrise, thirty minutes before sunset and anytime in-between if they feel threatened or want to communicate. The howler monkey's "grunt" sometimes confuses first time visitors to Costa Rica into thinking they are hearing a large dog bark. Technically speaking, all four species natively found in Costa Rica are classified as "New World Monkeys". For more information about these monkeys please visit the Wikipedia page dedicated to Costa Rica monkey.